Due to their contrasting fluid properties, different chemical streams require different types of pumps. Remember, there are many chemical industries working away in remote areas, and their complex pipe networks can't possibly operate off of a single fluid conveying principle. Those industry workhorses move chemical reagents, hydrocarbons, and who knows what else. Consequently, it takes a number of specialized mechanisms to keep the various streams moving. By far the most common type of pump in this industrial sector, centrifugal pumps are based on a well-recognized operational principle. All the moving parts are mounted on a rotor, the windings on that rotor create an electromagnetic field, and this field interacts with a secondary magnetic effect, as produced by the pump stator. Mounted on bearings, the pump spins, a sealed volute chamber fills with chemicals, and the impeller generates spinning force. Also known as Mono Pumps and Progressive Cavity Pumps, the long cylinders function as mix-less conveyance mechanisms. A prime mover sits on one section of the chemical facilities' floor. It's coupled to a screw-like rotor, and that rotor is sealed inside an elastomeric stator. Designed to shift thick liquids and abrasive materials, the equipment moves its chemical loads linearly and in small, sealed pockets. Instead of a mechanical rotor, this specialized pump type uses rotating parts or reciprocating components. This means the inner workings of a positive displacement pump are an ideal match for high-viscosity applications. A low speed, low-pressure fluid efficiently moves through the pump chamber when it's utilized in an oily or gaseous environment. Alternatively, low viscosity fluids can be made to flow with very little pressure head. 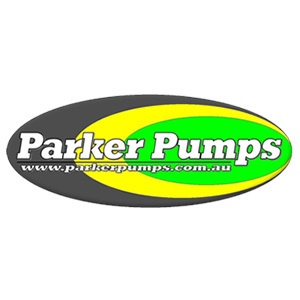 Progressive cavity pumps fit into this category, as do rotary vane pumps and piston pumps. Fitted with a reciprocating membrane, the mechanism uses its powertrain to force a flexible component to deform. As the deformation occurs, the volume of the pump chamber alters and a chemical load flows. Requiring little sealing or lubrication, diaphragm pumps perform well in situations where the chemical stream needs to retain a high degree of compound purity. Again, this is another positive displacement device, but its unique operating principle earns it a place on this list of chemically capable pump types. Centrifugal pumps are popular, and there's a reason for that level of application popularity. However, fast-spinning pumps of this type can generate undesirable fluid incidents, including cavitation. Furthermore, a rotating impeller isn't the best choice when the industrial application contains light fluid-gaseous blends. For these thin fluid mediums, a positive displacement device is a logical candidate. Then, for viscous chemical sludges, few machines can outshine a progressive cavity pump.